Need a place to eat in Blackpool? There are so many great places to eat in Blackpool. Here at the Grand Theatre we want to provide our customers with a full experience. That’s why we have teamed up with the following restaurants in order to give you savings on your dinner when coming to the theatre. Make it a night out to remember with some fantastic food options at amazing places to eat around the theatre, there’s something for the whole family. Please note that discount are on food ONLY and you MUST present a valid Grand Theatre ticket, terms and conditions do apply. Blackpool Where To Eat? 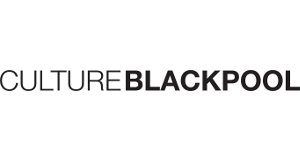 Revolution Blackpool is perfectly situated within the heart of Blackpool town centre. Just a stones throw away from the sandy shores and North Pier and a 2 minute walk from the main shopping centre Revolution Blackpool can cover all your needs. Come and enjoy the sea view in style and comfort and watch out venue turn from day to night. At Revolution they offer a seasonal menu with regularly updated specials with a huge variety of premium spirits, beers and wines on offer not to mention of delicious cocktail menu! Ask them for their pre-theatre menu. Get 20% off your food when you present a valid theatre ticket. Menu: Click here to view the food menu. Blackpool Where To Eat? Bella Italia has been awarded the TripAdvisor Certificate of Excellence 2017, which is awarded to accommodations, attractions and restaurants that consistently earn great reviews from travellers. The Italian restaurant is right next door to the Grand Theatre on Church Street, so pop in for a pre-theatre or post-show bite! You’ll love their selection of crispy classic pizzas, piping hot bowls of pasta, mouth-watering grills and selection of tasty treats. All served by our warm and welcoming staff with a side order of family-friendly fun! Get 20% off your food when you present a valid theatre ticket. (Church Street Restaurant ONLY). Blackpool Where To Eat? Nando’s is the home of the legendary, flame-grilled PERi-PERi chicken. Their speciality is succulent, Portuguese, flame-grilled PERi-PERi chicken guaranteed to spice up your tase buds and served in a warm, fun and vibrant atmosphere. Each of our restaurants are individually designed with unique features such as chilli shaped lighting and authentic African artwork to adorn the walls. Get 20% off your food and drink per valid ticket holder. So, if 5 people at the table, they need 5 tickets for 20% off food bill. If just one ticket, they get it off on just their meal. Only valid on the day of the show. Blackpool Where To Eat? Las Iguanas Blackpool is here to tempt your taste buds with sizzling South American favourites! Bringing a splash of colour to the fabulous Promenade seafront, Las Iguanas Blackpool is perfect for parties, pre-theatre, family meals out, lunches, catch-ups with friends and cosy dates. It’s cocktail o’clock all day every day with 2FOR1 on Happy Hour cocktails and coolers for that extra Blackpool sparkle. Get 20% off your food bill when you present a valid theatre ticket. Blackpool Where To Eat? Pizza Express are an Italian restaurant. We never overcomplicate our food. For us, simple is brilliant. Our founder, Peter Boizot, said ‘keep it simple’. And that’s exactly what we’ve done for the last 50 years. Naturally, we evolve our menu to keep it fresh and exciting. But the fundamentals of our food will always remain the same: simple, great-quality ingredients coupled with beautiful dough (and plenty of passion). Blackpool Where To Eat? The Bank Bar & Grill – a great steak can not be said no to! They open for breakfast, lunch, afternoon tea and dinner. Book now and don’t miss out on Blackpool’s newest dining experience. Get 20% off your food bill (excluding Prix Fixe Menu) when you present a valid theatre ticket.